Graham Fitkin is a composer and winner of two British Composer Awards. He recently performed in Oxford as part of the Will Gregory Moog Ensemble, and at the Cheltenham Festival with his own ensemble, Fitkin Band. Giles Masters spoke to Graham about his work, his influences, and his approach to composing. 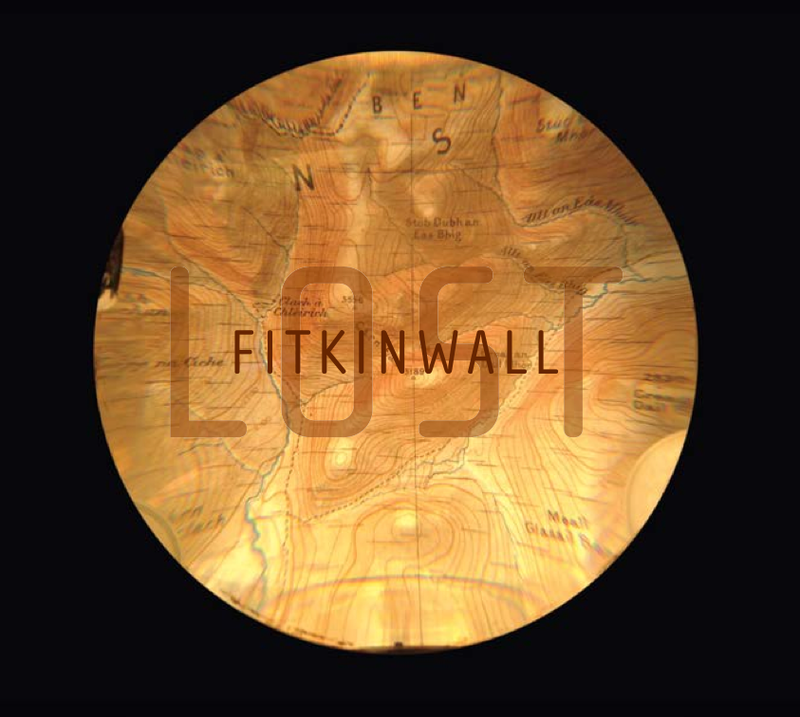 Can you tell us us something about the Fitkin Wall album that launches this month? It’s called Lost, and it started life as music I wrote for an aerial theatre company called Ockham’s Razor. They asked me to write music for Ruth [Wall] to go with their five performers, who perform on constructed sets; they’re in the air most of the time and swinging around. They don’t do tricks as such, but there’s a bit of danger to it; but on the whole it’s very slow and beautiful movements up there. [The album] was originally called Not Until We Are Lost, named after Thoreau’s phrase, “Not until we are lost … do we begin to find ourselves.” You can feel very lost generally in life, I feel, for all sorts of reasons. So [the album] explores the nature of feeling lost, whether geographically, within an environment you don’t feel part of, or even in a digital culture, loss in terms of feeling you belong to something, or a loss of a faculty, such as sight. [This creates] just slightly different perspectives on things. That’s where I started from, and of course, it’s pretty abstract music. I’ve framed it within that idea of “loss”, which gives a certain ambiguity to the music in this particular case, which is not something my compositions generally have (so for instance in a piece like Circuit  it’s pretty obvious what’s going on). This is more ephemeral, more difficult to grasp than some of my other pieces, and that’s part of the nature of it. It’s written for two different harps, wire harp and concert harp; I play Moog synthesiser, keyboard and a few boxes and bits and pieces. I’ve just finished a set of six pieces for my own ensemble [the Graham Fitkin Band] that are based on disco in some form or another. I researched disco, or early disco anyway, for a little earlier in the year, and I decided I’d write six songs using some disco themes of the time. Lyrically and socially, disco was an important musical form for Hispanic rights, black rights, gay rights, and women’s rights. New York was the centre of the disco era, and there were various clubs and lofts that became open to a variety of cultures. It was an incredibly liberating dance format for many people who wouldn’t have had the chance to go to a night club — gay couples, for example — and for the first time in their lives, women could dance on their own: they didn’t have to be asked to dance by a man or a partner, they could just get up and dance. In the past, whether twist or rock ’n’ roll, you had people in pairs, attached to their partner, and I was quite interested in that. So that became the lyrical basis, but at the same time I thought, “How do I [approach these ideas of liberation] in this day and age?” So I sort of twisted it on its head a little bit. In recent years, many celebrity icons have fallen down, people who we put on a pedestal – it could be a Tiger Woods, or a Jimmy Saville. There’s a fragility to celebrity status, and that went into the melting pot. I composed these songs and wrote the lyrics for them, and they were just premiered at the Cheltenham Festival [on July 11th]. I’m also finishing off an album with my partner Ruth Wall, who’s a harpist, and we’re touring that in the autumn. The physicality and social aspects of dance are not necessarily things that a lot of people would associate with classical music? No, they wouldn’t, and I’m sure that in the Cheltenham Festival, they probably aren’t expecting it. Nonetheless, I’ve written songs that have a hint of disco about them in their vibe, in their beat and so on. It’s still my music, though, and it’s not as straightforward as just that. I have great difficulty writing in four beats in a bar the whole time, so it’s been good for me to try. When did composing start for you? Probably when I was seven. I started piano when I was six. My mum taught me and I was not a good pupil; I kept giving up because I was bored with scales, and she did a very smart thing — she let me give up. She never forced me back into it, but I would just go back to the piano myself and start improvising and enjoy the silly little things I was coming up with. But they became important. I’d start to play the piano again properly, she’d teach me and I’d give up again … but I always sidled back to the piano. When I was eleven, I wrote my first written-down piano piece, and then shortly after that I rewrote Beethoven’s ‘Moonlight’ Sonata because, to be honest, at that age C sharp minor is a rubbish key to put anything in, so I thought A minor would be much better. So A minor it was, with slightly bluesy chords. The piano has stayed pretty central to your work — is that because you’re a pianist yourself, or is there something about the sound that you’re interested in? Yes. The piano is not in all my pieces, by any means, but probably at least half of them have got piano in. I do love the sound of it: the envelope of sound from attack and then starting to decay pretty much straight away; or attack and then very quick bloom of the note before it starts decaying. That’s something that I’ve worked with and I suppose I know. I also love the fact that you can hear harmony on a piano so beautifully, as opposed to multi-timbral groups ,where you hear the timbres. How do you approach the compositional process now? It’s different every time. Generally when I’m working on one piece, another piece will be gestating. I only ever really write one piece at a time, but I’m already just beginning to think about a recorder concerto that is coming up next year, for example. I couldn’t give you anything or tell you anything about it because it’s very, very early, but that’s in my head. What tends to happen when I properly start a composition is that I write lots of notes on a piece of A4 paper — not musical notes, text — about what I want to do with the piece, and that will be the start. It might have drawings on it, or not; it might have graphs, or not; it might have nothing on it that you could later identify in the piece, but it’s important for me. Is there something important about getting things down on paper? I think getting it on paper’s really good, actually. There’s something about that physicality of pen or pencil on paper that I really enjoy. There’s a connectivity to it. I can compose on a digital format but I quite like that physical thing which is there pretty much throughout the whole composition [process], to go back to. If I’m writing music and I think “this is great”, then I can look back at that piece of paper and think: “it is great, but it doesn’t really fit with that. And if we’re going to go with that, it could fit perhaps”. And then maybe I have a choice: do I go back to that initial idea and keep with that, or has it developed in such a way that it’s not so relevant, in which case I have to think again. But generally, I’m always going back to that first idea. Which composers have had the greatest impact on you? I love Bach: I love playing Bach and I love listening to Bach. I’d say in terms of influence, I admire the clarity of some of Bach’s work greatly. Of the Baroque composers I still really like Corelli, and I’m beginning to get into Purcell quite a bit. I love Mozart as well, but he’s probably had less of an influence on me than Bach, I think. Then you could miss out a century in influence, if you like, possibly [jump to] Sibelius, but Stravinsky is the next big one, and then you get to Steve Reich. And then there’s pop music and jazz, which was very important to me as a teenager — people like Keith Jarrett, Miles Davis, even going back to Charlie Parker. Lastingly, film composers — Bernard Herrmann, for instance — and people like my teacher, Louis Andriessen, who was quite a big influence as well. Everybody will have had the experience where somebody introduces you to something and you go “wow”, whether you like it or not. I was very lucky that a few key people in my life have said “have you heard this guy?”, and I’d listen to it and think “wow, this is something I’ve not heard before”. It was my brother who introduced me to Philip Glass. He probably isn’t my favourite composer because there’s something less rigorous about his temporal structures. But nonetheless at the time it was amazing, I’d never heard anything like it. At the same time I had a teacher at school who introduced me to Hindemith. Those things were always important. What do you feel you’ve gained from Louis Andriessen’s tutoring? He was very specific as a teacher. Composition is such a funny thing to learn and to teach. I’ve taught a few people for a little while but I don’t do a lot of it, it’s just very difficult to know how to teach it. I was lucky that I had two composers who taught me, Peter Nelson and Nigel Osborne, when I was seventeen or eighteen. Peter especially was very encouraging, and that’s what I needed at that time. When I got to Louis I was a little bit older so I could take criticism more easily and understand it a lot more. Encouraging wasn’t what he was going to be. He and I talked about politics as much as anything else. He would look at a bassline and say what he thought was good and bad about it, and he would be very specific, which was what I needed then, he was great for me. If I’d had him when I was seventeen I think I would have been too meek and mild to really develop my own style as much at that time. He would also polarise — I would say something, and he would say: “you can’t do that”. I would ask why, and he’d give me his reasons. Some of them might be almost comical because they were so over the top, but he was trying to make me think about the effect that certain things would have. That’s probably a useful thing at any time. With reference, perhaps, to the influence of Stravinsky, something that strikes me about a piece like Circuit is the use of seemingly self-contained passages with clear breaks between them. How does it work for you making those blocks of material work as a cohesive structure? Well, I suppose that’s a challenge I set for myself. I like juxtaposing blocks, which is where some of the Stravinskian influence comes from. What I like to do is this: when I’m listening to music I listen to a specific bit of music, and it’s generally framed by something else around it. Where it’s placed will alter my perception of it, so I quite carefully try and plot where certain musics will come in and feature. That is a sort of journey, if you like, but it’s a surprising journey. I like to give information to the listener, so they expect things, and it turns out not to go that way. If you mould information and change it in certain ways, then you can create tension and resolution, and that’s still quite strong in my music. Does thinking about framing and context in terms of listener’s perception shape your approach concert programming? I try to but I don’t always get the chance — there are so many practicalities and sometimes you have to be pragmatic. I was very fortunate to be given free rein to curate six concerts at King’s Place in London. They were called the Multiplier concerts, and I wanted just to have groups with the same timbre — so you could have four saxophones, seventeen guitars, two harpsichords, anything along those lines — and we would have three of those groups every concert. Then, you get the homogeneity of the whole thing but elements that you weren’t expecting, and I enjoyed doing that. It was a really nice format, I think — I’d like to do more of that. Which pop artists or groups do you particularly admire? I like pop music that understands what it’s doing (or at least pretends to). I like the Pet Shop Boys, for example, because there’s a sense of irony about what they do. It’s very difficult because sometimes you become the thing you’re trying to take the piss out of. But I liked their deadpan delivery, and I also thought the music was very clear and, just the same as classical music, I understood what they were trying to do. It wasn’t trying to do anything flowery, and I appreciated the clarity with which it achieved it. For a little while I was interested in indie bands — Wire, Swans, The Fall — then I had a moment where I thought that everything Stock Aitken Waterman did with Kylie Minogue was great. Other than that, I’m a great fan of Marvin Gaye, and I listen to Underworld all the time at the moment. [My listening] is quite broad still. I do still listen to rock and roll quite a bit, even though I don’t even like it any more. I’m working with Adrian [Utley] from Portishead [as a member of the Will Gregory Moog Ensemble], a band I have listened to in the past quite a bit. I quite like music where you know what it’s really about. With Portishead, you may not be able to describe it, but it’s very clear: it may not be clear music, but this is what this music is about. Do you think the term “postmodern” adequately describes the eclecticism of your music? The term “minimalist” also gets applied to your music a lot — is that something you’re comfortable with or resist? I don’t know — possibly. I never quite know where I fit in. I have been called “postmodern” but I have also been called “establishment”. I was certainly influenced by minimalism, and not just musical minimalism – visual minimalism as well. The works of Sol LeWitt and Carl Andre affected me quite a bit, I think, and my knowledge of architecture and simple forms has been influential. But to describe me as a minimalist I think is untrue, because my work is not minimal in any way. With the exception of some of my solo piano pieces, everything is too complicated. I love clarity, but I put a lot of information into things, so they can be very dense. The music also goes from one place to another, it does change; it goes from A to B via somewhere else. A lot of early minimalist music sat there and said “This is what I am all the way,” and I loved that but it’s not something that I’d really do. I think of minimalism as a movement was also very closely allied with a particular timeframe. It was then; it’s not now. For more information about Graham and his upcoming projects, please visit his website. His latest album will be launched on Friday 25th September at King’s Place; tickets can be booked here. Audio previews are available on Soundcloud.